VICE referenced a company named Zebra Imaging and the holographic printers that the firm was selling at a price tag of $1 million during their report at the Tenth Annual Border Security Expo in San Antonio, Texas. According to the report, these machines were already being utilised at Border Control stations in El Paso, San Diego and Tucson — having initially been sold to the US military for use across Iraq and Afghanistan and producing some 14,000 images during missions throughout the Middle East. 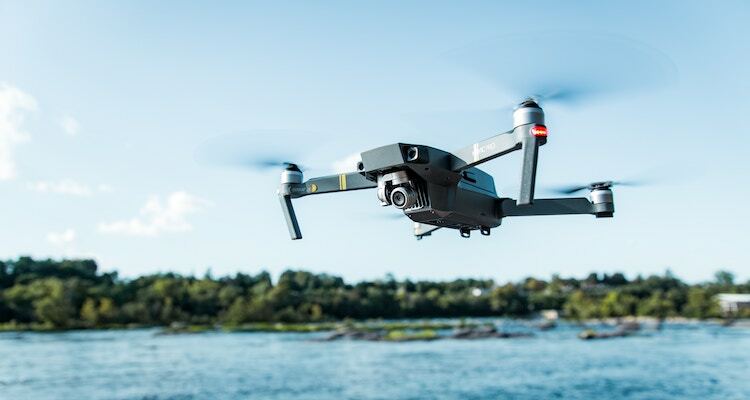 The technology functions by either a drone or a person capturing an aerial photograph on the border that is being investigated, pointed out a Zebra Imaging spokesperson. That photo is then printed using the holographic printer, which can then be used to gain a better understanding of the landscape and to deploy effective missions if necessary. The D3S wearable RIID is a pocket-sized wearable radiation detector that has been created by international technology group Kromek, a leading developer of high-performance radiation detection products based on cadmium zinc telluride. The device has already been deployed by the New Jersey Port Authority and followed the President of the United States on one of his trips to Europe. It has also been claimed that the technology is more powerful than a standard RIID, which stands for a Radiation Isotope Identification Device. Furthermore, this gadget is designed to detect radiological threats such as radioactive contamination, dirty bombs, radiation at the scene of an accident or a terrorist attack, and the smuggling of radioactive substances. Truly enabling Kromek’s D3S wearable RIID to stand out in the market though is the fact it’s an unobtrusive and hands-free gadget. Simply turn the detector on and then launch the accompanying app on your smartphone and the gadget will continuously scan for radiation without anyone needing to see it in operation or potential suspects to get suspicious — any alert of radiation can be picked up by your phone either sending an announcement into your earbud or simply vibrating. “Armed with the D3S wearable RIID, you are a walking gamma and neutron detector, able to detect even shielded sources and identify the isotopes used,” points out Kromek. You may envision someone altering their home’s smart thermostat when sat at their office desk or a person turning on a lightbulb using a smartphone app when the Internet of Things, or IoT for short, is mentioned. However, global management consulting and professional services firm Accenture has acknowledged that custom agencies can also be using IoT to enhance their operations. A case in point used by Accenture is the Hamburg Port Authority in Germany. This is due to the organisation utilising the technology to improve how they monitor cargo and track journeys. Data is collected by the authority from sensors which are embedded into bridges, containers, roadways and vehicles, and then analysed. Once the analysis is complete, the findings can be delivered to officers remotely, as well as fed into schedules and assisting road authorities to channel traffic in more effective manners. There is no doubting that, with technology advancing at such a rapid rate, a new innovation will be just around the corner that will assist border control forces even further.